What are Bible Code Pictograms? What is the Purpose of Bible-Code Pictograms? "I like the drawings, but where do they lead? Is there a conclusion to this or an event location? Taking out of the bible a picture is cool, but where does it lead us? What is the context of your question? If you saw any of these signs below in a park, what would any one of them mean to you? a.) What a nice picture! b.) Hmm... Obviously some paint got randomly splashed on this post that made this sign! c.) Someone is trying to say something. Of course your answer is, "C". Now, if you discovered some of these park pictograms encoded to the right in a 'manual on park safety', you would both know what the images essentially mean and also realize that an intelligent being encoded them in the manual. However, a park manual on safety would need no such evidence (such as an encoded message) in order for people to take it seriously. However, the Bible does need evidence for rational man to believe in its incredible claims. Anyone who knows their bible knows that the bible is an extremely symbolic book, full of imagery. Indeed, I have a very large "dictionary" in my library on this one topic alone! So then, if images are found encoded in the bible that utilize the same kind of imagery described in the bible, then we have a very remarkable sign, do we not? We do not see a different message than that found in the surface text. We do not see images that require a different set of instructions in order to understand its imagery. And do not all 'signs' point to something? All 'signs' (pictograms) in the bible point to Jesus. There are no exceptions! Apparent exceptions are due to the observer failing to see the bigger picture, (or any picture at all!). It would be like someone misunderstanding this symbol at left because all they observed or discovered was what the staff read and not the whole image, and thus they only go a fragment of the whole message. Among the few real codes examined on most websites this is often the case. They are looking at mere fragments of a pictogram and they do not even know that it is even part of a pictogram! Why do we need proof for the bible? There are so many false 'bibles' out there, each claiming to be The Truth. But in these last days, the one true God is revealing to us these symbolic images encoded within the bible. They are communicating the same awesome message over and over again, only in different ways, using different images. 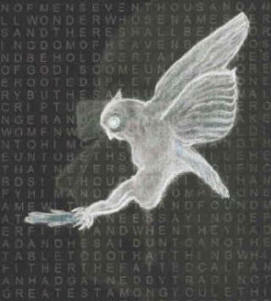 The encoded message is the same as what is written on the surface text for all to read. The redundant, yet totally awesome message, is this; namely, that, "Jesus Christ is the Savior of the world, and there is no other savior but Him!" And this is why all the images are linked to one another numerically. They all proclaim the same message and so are compatible with one other and 'move' to overlap one other so as to form more intricate composite pictograms of astonishing complexity. Most other secular writings need no such proof to believe on them, nor is such proof even possible. Supercomputers running for billions of years attempting to replicate this phenomena could not. But God, knowing that in the last days men would greatly doubt His Word, has reserved for Himself a last-day sign, even literal 'signs' (pictograms) encoded in His word, the bible, that point the way to Jesus. (Dan. 12:9-10) "And he said, Go thy way, Daniel; for the words are shut up and sealed till the time of the end. Many shall purify themselves, and make themselves white, and be refined; but the wicked shall do wickedly; and none of the wicked shall understand; but they that are wise shall understand." 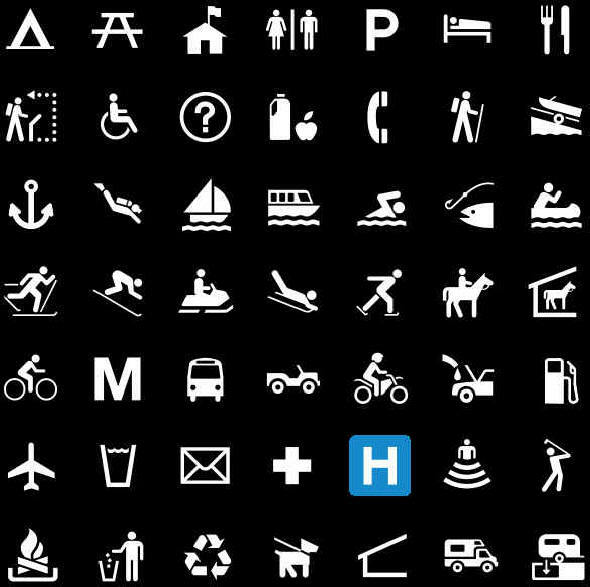 All of the above pictograms contain imagery common in the bible and easily recognizable to anyone who has studied the bible. The fact that they exist is proof that there is no other God but the God of the bible, and that Jesus is the Messiah, the Son of God. And it also shows to what great lengths God will go to to convince men of its message. And this, in turn, proves both His great power and His great love, not willing that any should perish, but that all should come to repentance. Jesus is where the images "lead to"! 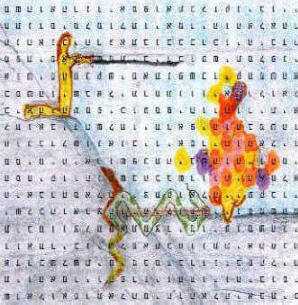 How Picture Bible Codes overlap into one composite image!